Redheadcase's Mental Health Recovery – A Redhead's journey through Major Depressive Disorder, Generalized Anxiety Disorder, and Borderline Personality Disorder, on her way to recovery! “A feeling or belief that good things will happen in the future : a feeling or belief that what you hope for will happen.” This is how Merriam-Webster Online defines optimism. So, thank you anxiety and depression for teaching me how to be the ultimate optimist. I let my 5 month old fall asleep in my arms tonight. It has been a long few weeks as I recover from another bout of depression and anxiety. As I grew more and more tired from the flu during Christmas, my ability to fight away depressive and anxious thoughts weakened. I had to reserve any energy I had to care for the needs of my little one. I didn’t have any energy left to care for myself. I began making classic mistakes in that I wasn’t eating (a glass of milk a meal does not make) not taking my supplements and vitamins (my iron and vitamin D are a bit low) or asking for help (Umm, I haven’t had a meal, a protein and veggie meal, in days? Could you help?). It is no wonder I was feeling so physically and mentally bleak; I wasn’t taking care of me. While I’m still not yet in the clear, I am feeling much better. For the millionth time, I realized I had to save myself by healing myself (amazing how we romanticize this experience and hope that validation comes through the unprompted care from another, while we fail to care for ourselves! Lol). I realized that these are the experiences that my child will witness and gain knowledge from…that he can, and should…put himself first so that he can then do his best to care for others. He will witness resilience and discover that it is a beautiful skill that can be built upon and mastered. He will witness a mother who is strong enough to ask for help. So, in the meantime, I’ll snuggle him close and let him fall asleep in my arms. A spirit needs spoiled from time to time. Healing anything is a process. A bruise healing? A process. An emotional illness? A process. A process is a “phenomenon marked by gradual changes”. What gradual changes do we allow in our process? What gradual changes do we not allow? We often get in the way of our own process of healing, physical and mental, by being afraid to embrace the discomfort of change. 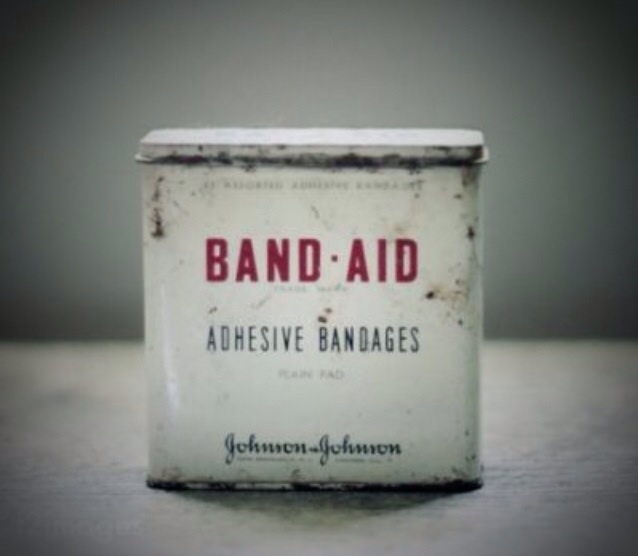 I mean, who likes the process of pulling off a Band Aid, but we heal better once we change that old bandage, don’t we? Pregnancy and MI: Pregnancy Makes Your What Hurt??? But alas…as in all the pregnancy symptoms I have experienced during the past 8 months, I know that this too will come to an end and am grateful that despite the moments where it has caused me great difficulty, nothing about this pregnancy has been nearly as difficult as it could have been. I could have spent endless hours in physical pain from a back that never relaxed, on bed rest for a month for a baby who thought he wanted to make his debut early, or locked away in a dark room in a episode of depression or anxiety that I simply lacked the physical and emotional strength to kick to the curb. This is not to say I haven’t had difficult moments…I have been brought to tears over a painful back and experienced anxiety that is making me work hard to prepare for the hormonal drops I will have to deal with within moments of Baby Redhead taking his first breath. There are realities that I must prepare for, yet keep hope that my preparation never needs utilized. But overall…I am a happy mama-to-be, and I am hoping you all are happy, too. My pregnancy has been a wonderful “tool” to add to my Wellness Toolbox. Being completely responsible for the physical and mental well-being of my child has helped soften many edges of the negative thinking that I suffer from due to my Negativity/Pessimism Schema. While it has certainly been no cure, I find myself falling back upon the most negative of my thinking, “I can’t do this anymore”, “Life is not worth the struggle”, “God, please let me not wake”, etc. less and less. I love my unborn child and want desperately to parent him to become an all-around healthy young man. If I am constantly considering that there are options to life other than living, I do not think I’ll manage my parenting goal. In this way, I am thankful that the reality of my pregnancy has helped refocus, in a healthier manner, the filter through which I interpret thoughts and feel emotions. The past few weeks have been LOUSY. “But Redheadcase, you just talked about how a major difficulty of your MI has grown a bit healthier. Are you grateful for nothing? !” a reader may ask. -I have always had much more difficulty with the fluctuation of my mood when I am physically drained and/or hungry. My husband can look at me, seeing me wilt like a flower out of water, saying, “We need to get you something to eat/need to get you some rest because your mood is dropping.” When I am fatigued from a lack of sleep or from running errands or when my blood sugar drops from not having eaten recently enough, I become much more susceptible to the depressions and anxieties of my MI. And I have found that with being pregnant, I wilt at a much more rapid pace, making it harder to catch my decline in time to prevent. I point this out because self-care is of the upmost importance, especially when you are suffering from an illness and ESPECIALLY when you are pregnant, dealing with hormones that fluctuate as they please no matter how carefully you care for yourself. Proper sleep, rest, and diet are essential to an MI-er’s well-being, and we must be willing to tell the people around us that we have to take the time to rest and/or eat. Putting ourselves first is a very good thing because when we are our healthiest for us, we can be at out healthiest for our loved ones. It is a “win-win” for everyone. Well, that is all I have for the moment. I hope this finds everyone feeling well and a little less alone in a world that can feel really lonely. Take care. Suicide claims more than 38,000 lives each year in the United States alone, with someone dying by suicide every 13.7 minutes. A suicide attempt is made every minute of every day, resulting in nearly one million attempts made annually. When you walk in the American Foundation for Suicide Prevention’s Out of the Darkness Walks, you join efforts with thousands of people nationwide to raise money for AFSP’s vital research and education programs to prevent suicide and save lives. The walks raise awareness about depression and suicide, and provide comfort and assistance to those who have lost someone to suicide. SUICIDE CAN BE PREVENTED. YOU CAN HELP. JOIN THE MOVEMENT. You aren’t alone. No matter who you are or what problems you are struggling with, hurting yourself isn’t the answer. We want to help you find hope.